As part of the support received from the Johnson Scholarship Foundation, PLANS (Promoting Leadership in health for African Nova Scotians) and Indigenous Health provide micro-scholarships to support Black and Indigenous post-secondary students to assist with participation in academic conferences, training seminars, and associated fees for entrance exams such as the MCAT, CASPer, or DAT. For more information visit: dal.ca/medicine/global-health/diversity. 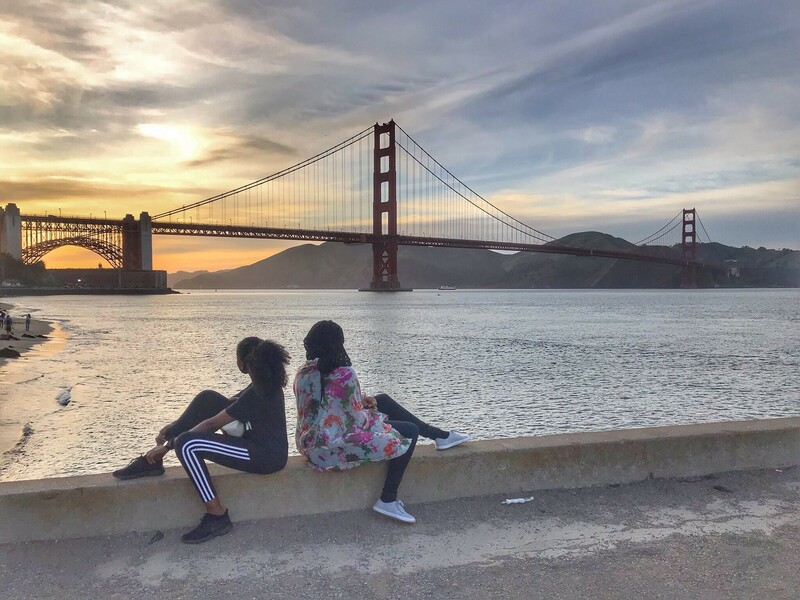 Recently, two medical students attended the Student National Medical Association in San Francisco. Here is their account of their experience. The workshop session that was most impactful to me was entitled, “The Scarcity of Black Men in Medicine.” Although this panel session centered on addressing the declining numbers of Black men in the United States, entering the medical profession, I feel that the barriers to entering medical school and some of the solutions outlined in this session apply generally to Black Canadian students in medicine. Several of the Black, male, physicians on this panel candidly expressed the feelings of uncertainty in navigating applying to medical school and the lack of role models in this profession, from their own community. Further barriers detailed included: low expectations from members of the school system and combating stereotypes from peers and people in leadership positions. One of the takeaway messages from this session was to regularly speak to community members, patients, family and friends about our journey through medical school. Examples given included: posting pictures on social media wearing our white coats, or asking pediatric patients if they have ever thought about becoming a doctor. In my own personal experience meeting physicians from my community solidified that this path was possible for me. This conference reinforced something that has been absolutely true in my life, representation matters. Cultural competency is one of the tenets found in the mission of SNMA. On my second day I attended a workshop entitled “Cultural Competency: Exploring Implicit Biases and The Impacts On The Patient Encounter.” The purpose of this workshop was to provide us with tools that would allow us to test our knowledge and expand our skill set to ensure our patient interactions and interview questions are unbiased and patient sensitive. The workshop highlighted the important role of unbiased medical appointment interactions between co-workers, patients and families from various backgrounds in assuring optimal health care delivery. The workshop included role-play scenarios, follow up discussion, as well as the opportunity to work with standardized patients and a medically certified translator. This experience has provided me with the tools that will aid me in developing the leadership skills, and mindset required to work in a diverse environment. Our conference experience was extremely gratifying, for it allowed us to engage with hundreds of fellow medical students, residents and physicians with a common goal of diversifying the face of medicine and centering Black health. We have gained the knowledge and skill set necessary to address some of the issues that contribute to health inequities and the tools to develop leadership skills in advancing health equity. We are excited to deploy the skills we have gained in improving healthcare outcomes of our communities. We would like to express our sincere gratitude to the Johnson Scholarship Foundation for granting us the monetary support to attend the SNMA conference.